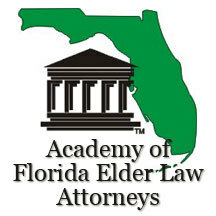 Testimonials | The Estate, Trust & Elder Law Firm P.L. M.R. of Port St. Lucie. 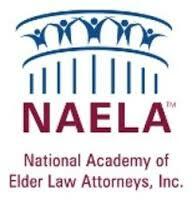 “We learned of the Estate, Trust & Elder Law Firm when we attended a meeting of seniors at our church. Mike Fowler presented information which helped us understand Estate Planning. We decided to call and meet with him. Our Estate Planning was handled in a professional and caring manner, this was in contrast to an Elder Law firm we had contacted earlier. We proceeded to use the lawyers at the Estate, Trust & Elder Law Firm. They are kind, caring, warm people. We are glad we chose this group. It is as if a weight has been lifted from our shoulders. We know and trust we did the right thing. “Settling personal and estate matters while still in health is a privilege and a responsibility, yet easy to put off ‘to deal with tomorrow.” Since finding my resolve and making my appointment, I will happily say the experience was pleasant, educational and quite comfortable. Each element of my life plan was thoroughly discussed. I know that should I have further questions, a firm member will be there, whether for me or for a member of my family. This firm provided excellent services! I entered into what I called the land of the unknown when I moved my parents into assisted living. They were in debt well over $150,000.00 with not much income to see the light and assisted living cost was going to use almost all of it. I saw an ad in the paper for “The Estate, Trust & Elder Law Firm, P.L.” so I called to set up an appointment. I am 62 years old and this is one of the best calls I have ever made. They set me up on several programs that are available but not many people have knowledge of. Within several months I was able to pay all of their bills off and had plenty of money to pay the monthly bills and some left to save. I don’t know what I would have done without this law firm.